CONGRATULATIONS! 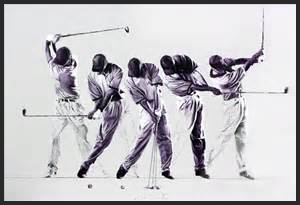 You've taken the next step towards a consistent golf swing and hopefully you're about ready to take the final step and unleash the potential you know you have! By Phone | A lesson by phone takes approximately 45 minutes to an hour. In this lesson we will cover all the elements discussed on the previous page in further detail so that you will have a crystal clear understanding of exactly what the goals are that you will be striving for. We will not end the lesson without you totally comfortable with the vision of the program. By Skype | A lesson by Skype will take approximately 45 minutes to an hour like the phone lesson, however with the visual element added. You can be at your favorite range or in your living room and I will take you through each component of my program so you will have a crystal clear understanding of exactly what the goals are that you will be striving for. We will not end the lesson without you totally comfortable with the vision of the program. NOTE: Once you've initially contacted us via phone or Skype and the program has be put into place, additional follow ups can be conducted. Each additional consultation will be conducted on a 30 minute basis. We encourage you to be at the range using Skype whenever possible but via phone is always an option that can be equally effective. 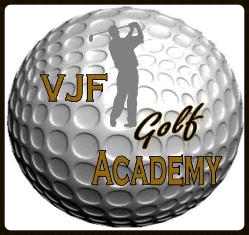 A visit to the VJF Golf Academy in person. Lesson will be 30 minutes in length and all components of the program will be covered in detail.Typically 30 minutes in person is all that is needed given there is the element of demonstration and 1 on 1 personal interaction. For pricing and programs at the academy please visit my website via the link below.